Gulf Services is a general contractor and project management company that has been entrenched in construction services since 1984. Our family owned business (recently rebranded from GEC – Gulf Equipment Corporation) is known throughout the Southeast for delivering quality projects with safety as a number one priority. 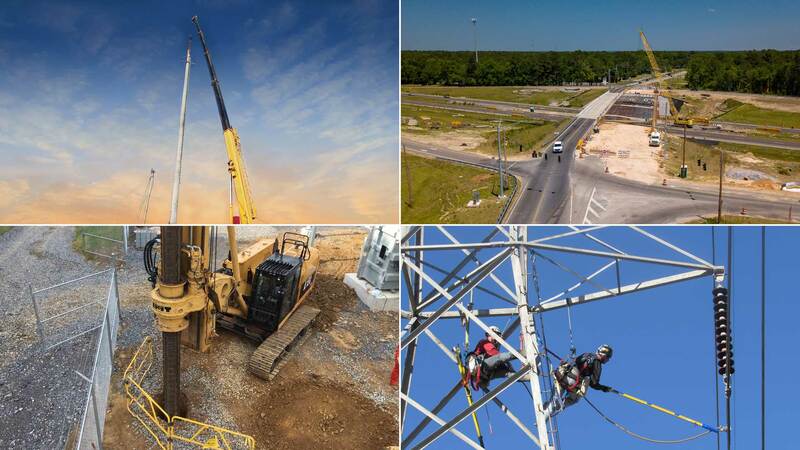 We have been serving customers for more than three decades and today Gulf Services is known as a leader in Wireless, Utilities, Foundations, and Roads and Bridges. To be a respected leader in construction and maintenance services, a recognized provider in safety and quality, and a positive influence in the lives of our employees and communities. Gulf provides turnkey construction services specializing in wireless, utilities, foundations, and roads and bridges. Our broad experience allows us to master skills in like projects, ranging from very small to extremely large. Gulf has a team of seasoned veterans that understands the critical role of project management to deliver a successful product. Our project managers are highly trained, experienced and committed to providing solutions for today’s most complex projects. We run every project as if it were our own with special attention to budget and timeline.